Suzuki is one of the oldest players in the market, known for their Super bikes and scooters around the world. It has speed, style and has every bit of an oomph factor. In simple words ‘Hayabusa’ is a fantasy for most of the bike lovers in the world. One bike which took the world by storm with its power, style and speed. Hayabusa came more into lime light when it was showcased in one of the famous Bollywood movies ‘DHOOM’. No doubt we have seen increasing number of Hayabusas in India. Busa comes across as one of the fastest bikes. It is powered by 1340cc liquid cooler inline four cylinder that puts out 197bhp at 9500rpm and 155 Nm of torque at 7200rpm002E. Since it is equipped with a new standard Antilock Brake System (ABS), it enhances performance. You are just a click away to get your Suzuki Hayabusa bike insurance policy. Coverfox offers great discounts with top-notch insurers. And you receive the policy within few minutes of your transaction. Coverfox has a fantastic set of customer-centric advisors, and post-sales service managers who help you with after sale query. Supporting them is the claims team, who make claim as easy as a pie. It's a complete value for money for its type. It is difficult to find well-built bikes with high intensity. If performance, style and power is what you are looking at, Hayabusa is definitely the one for you. What are the specs and features of Suzuki Hayabusa? What is the mileage of Suzuki Hayabusa? The mileage of Hayabusa is 11 kmpl. How to make a claim on your Suzuki Hayabusa bike? You are just a call away to claim on your bike insurance with Coverfox. We have a specialized team who intimates claim on your behalf and keeps you posted with regards to the claim status. Coverfox claims team follows until claim settlement. You can also write us on help@coverfox.com for claim intimation. 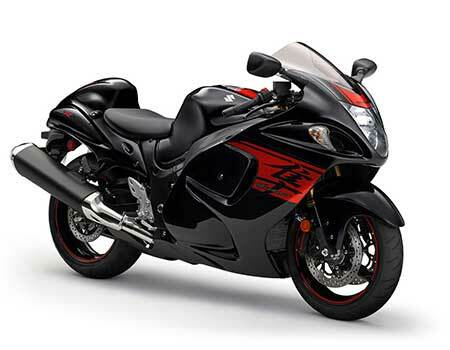 Why should you insure your Suzuki Hayabusa bike? Insuring your bike will cover risk in case of any accident. This cover takes care of the damages that will be caused by accident. Insurance will cover the owner driver and third party property damage. Also in case of theft, you could land in soup and have major losses if your bike is not insured. Hence one should compulsory have a bike insurance policy.